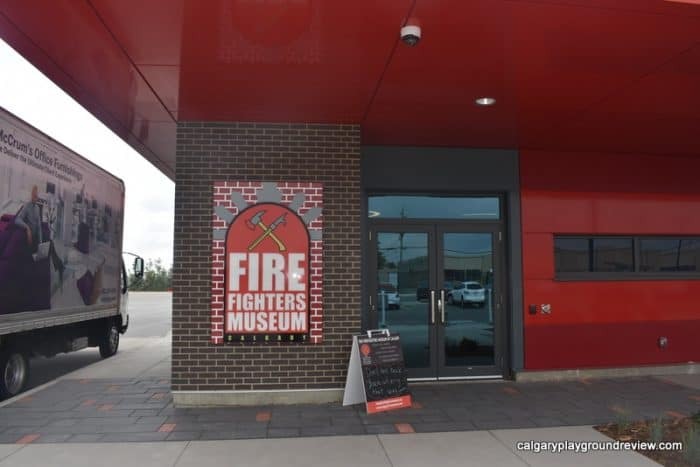 The Firefighters Museum of Calgary did not have a physical location for several years. 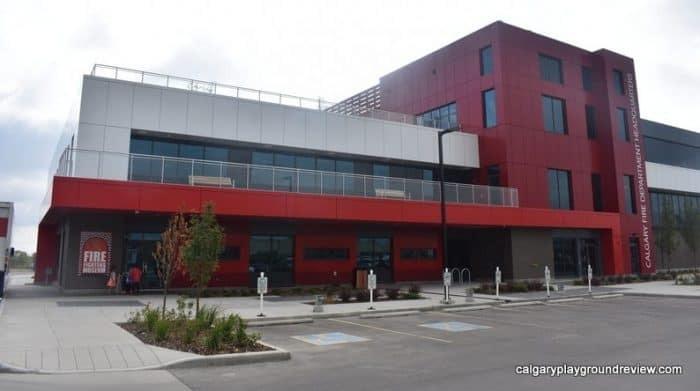 It has now re-opened in a new location inside the Calgary Fire Department Headquarters. 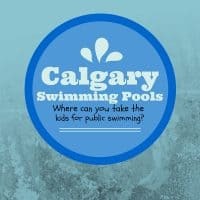 The museum has limited hours and isn’t huge but all three of my kids have asked to go back. 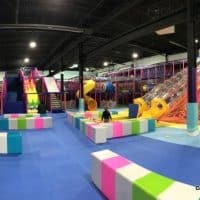 We found the staff to be very welcoming and helpful – they seemed genuinely happy for us to be there. 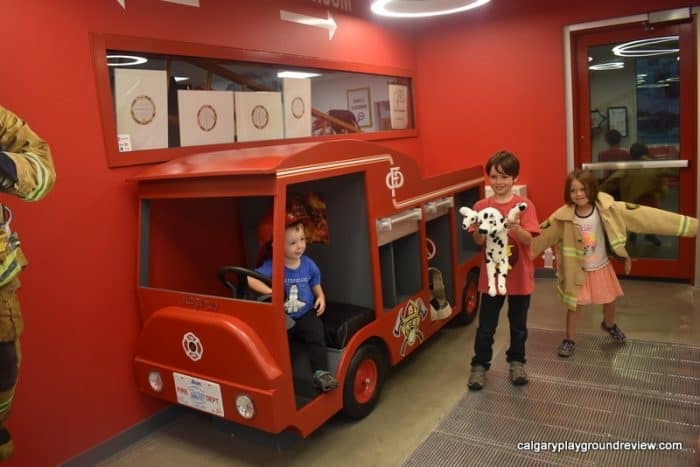 Just inside the front door we found a firetruck that the kids could play with, complete with costumes, hoses and a dalmatian. At the front they have a gift shop with lots of firefighter related merchandise. 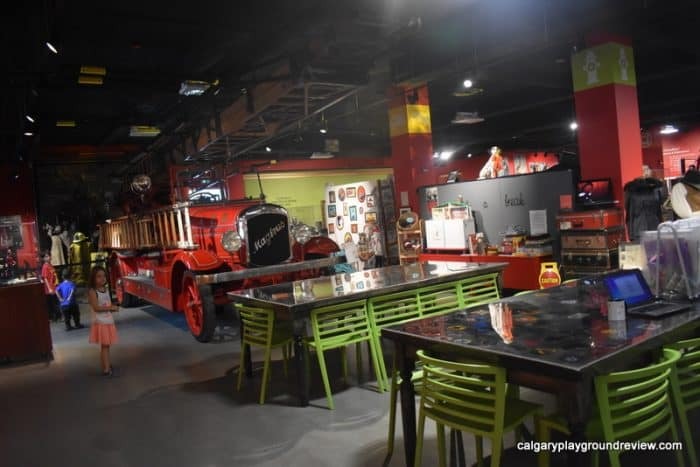 The museum has two full sized vintage firetrucks (unfortunately for the kids they can’t be climbed on). 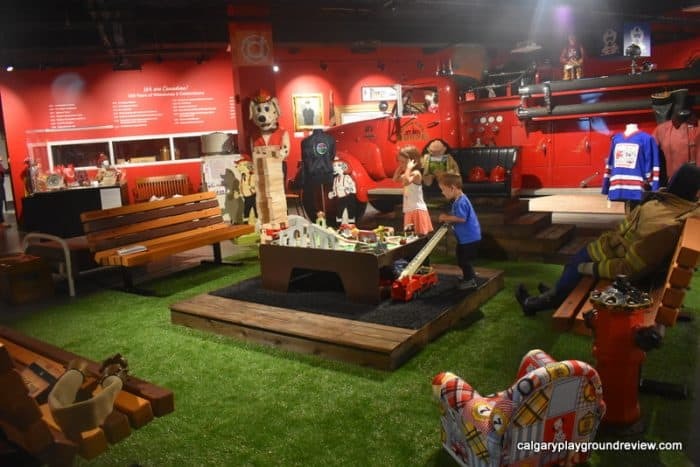 In the centre of the space they have a little kids area set up with some costumes and toys. 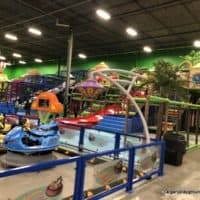 My 2 year old really loved playing here. 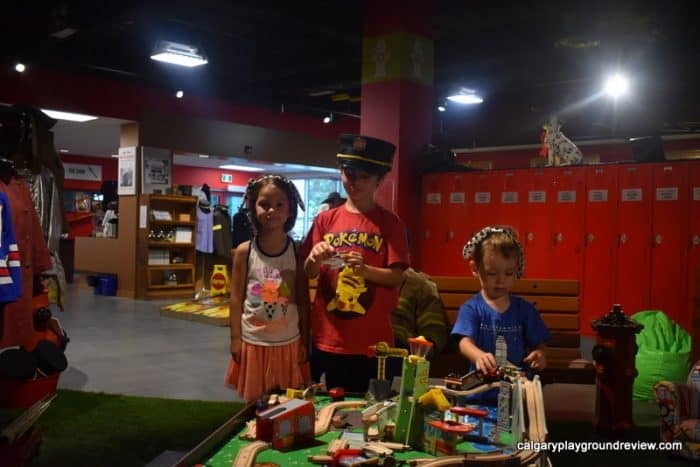 They also had a little dinosaur scavenger hunt set up where the kids could look for little toy dinosaurs hidden throughout the museum. The kids particularly loved the dalmatian headbands. 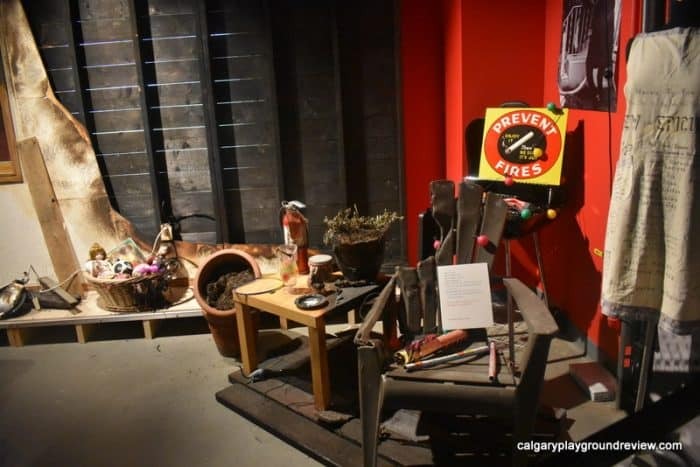 The museum is well set up with interesting things to see where ever you look. 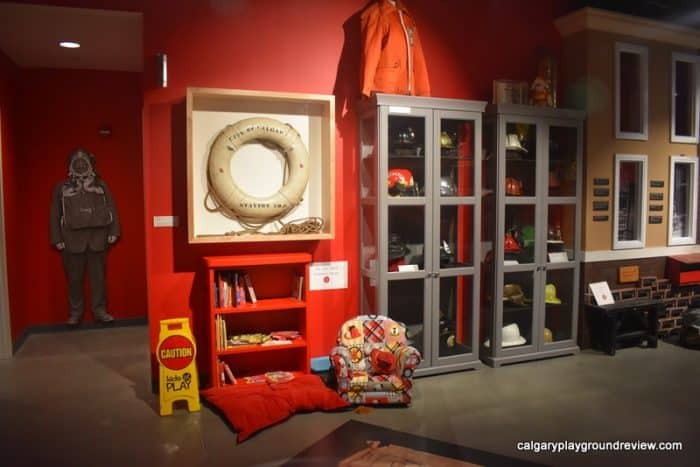 You can see firefighter related artifacts. 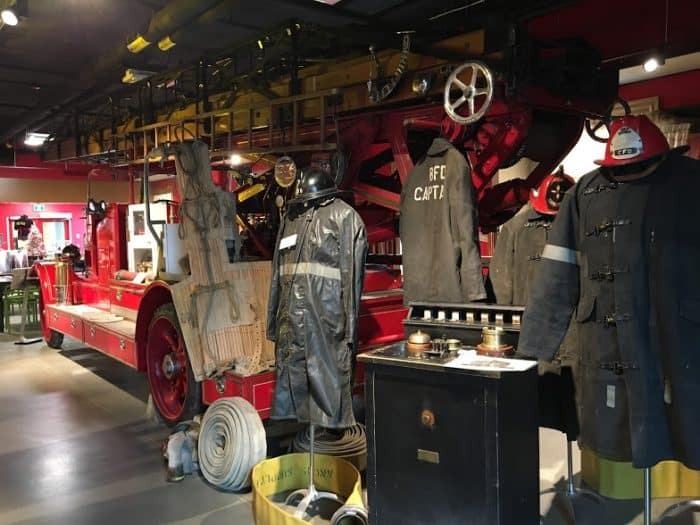 And learn about fire safety and fire fighting history. 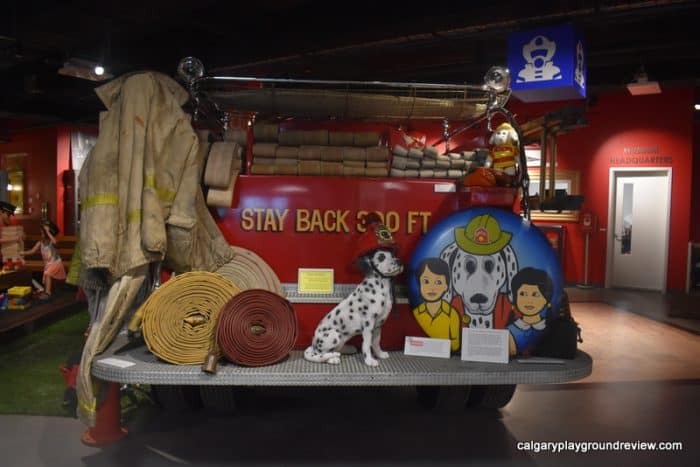 The Firefighters Museum of Calgary is definitely worth a visit, particularly if you have kids with an interest in emergency services. We will absolutely be back. 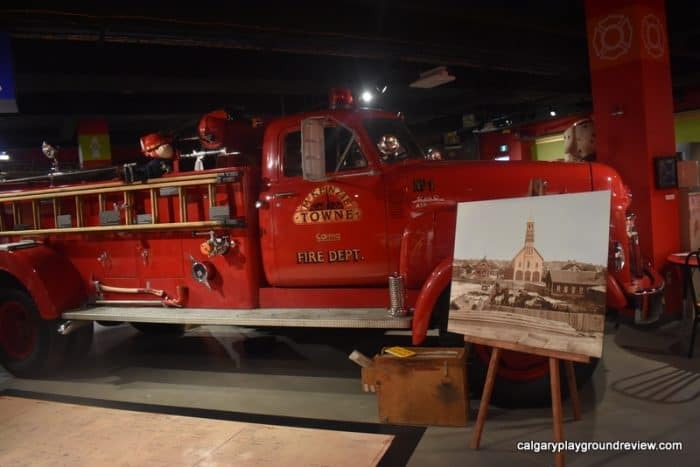 Have you been to the Firefighters Museum of Calgary? 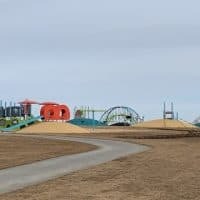 What did you think?